Superdry women’s Core down hooded jacket. 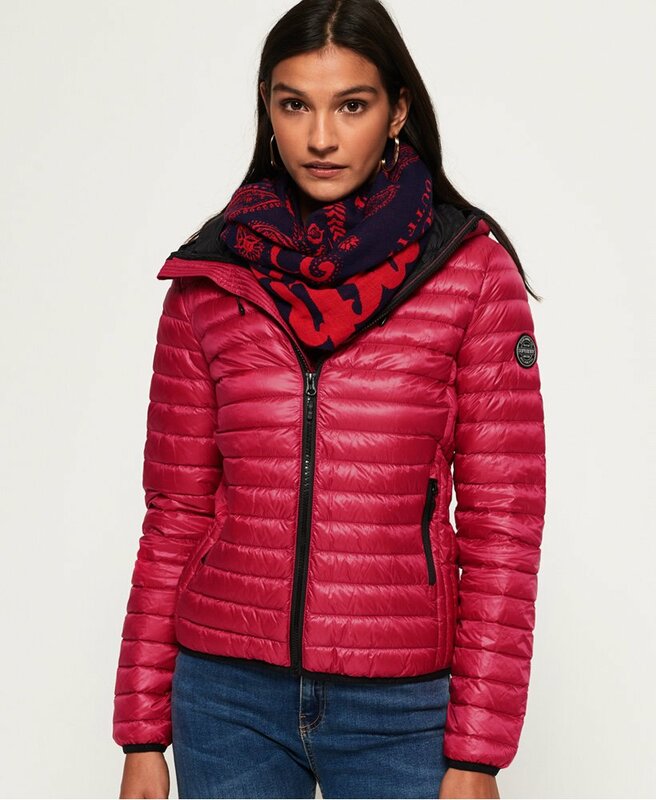 This quilted, lightweight jacket is the perfect transitional wardrobe addition, it features a 90/10 premium duck down and very high down fill power rating, making it ideal to keep you warm in the cold, as well as offering brilliant insulation. The jacket also features an elasticated hood, cuffs and hem, zip fastening and two front pockets. The Core down hooded jacket is finished with a rubber Superdry logo badge on one sleeve. This is a great style investment for your jacket collection.